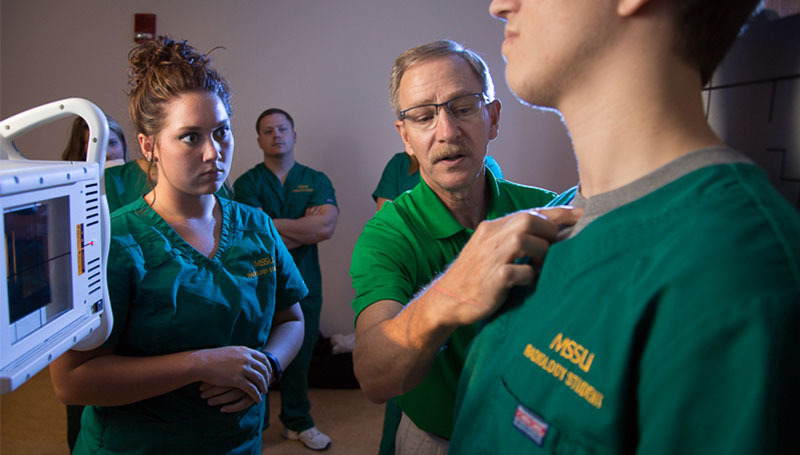 A student team from Missouri Southern won first place in a radiology knowledge-based competition during the 86th annual Missouri Society for Radiologic Technologists Conference held in April in Columbia, Mo. Schools taking part, in addition to Missouri Southern, included the University of Missouri – Columbia, St. Louis Community College, Southwest Baptist/Mercy Hospital and Cox College of Springfield and Avilla University, Research Medical Center, Metropolitan Community College, and St. Luke’s, all of Kansas City. Team members from Southern included: Kayla Jenison, Joplin; Regan Smith, Jasper; Courtney Cook, Seneca; and Shelby Teegarden, Carthage.